Home » Forex » Forex trading tips » Is Your Forex Mentor Guiding You Properly? Is Your Forex Mentor Guiding You Properly? Beginners in forex might as well conform to this adage without a shadow of doubt. The trade represents a combination of market education and personal skills and its only advisable that you are continuously guided by a mentor in your path of learning- be it in the form of an experienced trader around you or else through a training program or course. Go through this post in order to discover what exactly you should seek to learn from a forex mentor. How should a forex tutorial help you? 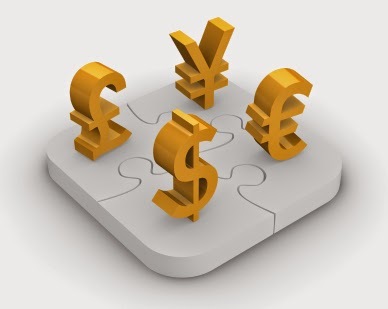 Any forex tutorial will, at first, acquaint you with the basic forex terms, their meaning and their functions. Before you start learning about the ways of analyzing or speculating the market you should be completely aware of terms like, pips, spread, currency pair, spot, currency symbols(here is the complete forex glossary- www.forexglossary.com). Besides, you should be aware of the benefits and risks of the market, several tools involved, and the initial investment required. As you become acquainted with the basic terms, the tutor should then proceed on the types of trading done and ways to analyze markets based on these trades. An ideal guide will advice you to combine the technical and fundamental forms of trading, so as to ensure that you can handle both of them if you wish to. You will be offered comparison charts to understand which type of analysis suits the market type under which conditions. One of the very noticeable characteristics of the forex market – is the claim that successful traders are actually winning 70% of the time. The industry simply pitches its educators or tutors to sell the idea that victorious traders are consistently registering a 70% success record in the trade. However, this kind of claim engenders many a trader out there to believe that it is very easy to maintain this type of win/loss ratio (i.e. 70:30). However, it’s not actually so. Though it is not impossible to achieve- it’s not easily gettable either! An ideal forex training program, thus, should steer clear of making this kind of claim indiscriminately, so as not foster a false sense of its easy attainability among traders. The momentum indicators and the oscillators will help you streamline the use of these charts. Other aspects of forex education include Pivot Points, chart patterns, creation of your own trading system and trading plan and resistance levels. It will be a world of good for you if you are able to extract crucial tips on all these aspects from your personal online trading coach or an online tutorial.